If you ever wonder why companies take so long in deciding which candidate to hire for a particular position, consider this: the cost of selecting the wrong person can run into the hundreds of thousands or even millions of dollars, not to mention the potential negative impact to a company’s morale and productivity. 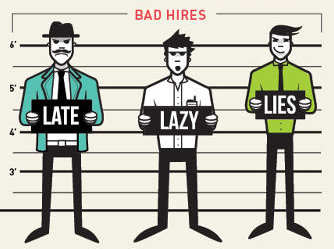 The Harvard Business Review points out that as much as 80% of employee turnover is due to bad hiring decisions. There is a wide disparity among what a wrong hire can cost a company because there are so many variables. For example, the Labor Department estimates it can cost on average one-third of a new hire’s annual salary to replace him or her and that those costs increase the higher up in the organization the turnover occurs. In some cases, it can total in the millions of dollars if that person is the CEO. Others say it could be even higher than that. According to a study by the Society for Human Resources Management (SHRM), it could cost up to five times a bad hire’s annual salary. SHRM also found that the higher the person’s position and the longer they remain in that position, the more it will cost to replace him or her. Recruiters I spoke with said that if you make a mistake in hiring and you recognize and rectify the mistake within six months, the cost of replacing that employee is still going to cost you two and one-half times the person’s salary. That means a poor hiring decision for a candidate earning $100,000 per year could cost, on average, $250,000, and that expense comes right off the bottom line. Why Are These Costs So High? Expenses associated with hiring include interview expenses such as travel, hotel and meals, training and orientation, employment testing, termination costs, unemployment and potential litigation expenses should the candidate decide to sue you for wrongful dismissal, plus relocation costs and outplacement or career transition costs. But mostly it’s because you need to repeat the entire hiring process to replace the wrong hire, which includes time and expenses. There are also hard-to-quantify costs that could be lethal to your business such as lower employee morale, customer dissatisfaction, lost customers, lost sales, reduced quality of products and low production. “Plus, whenever someone is terminated, there’s a disruption among the other employees who begin to question what caused the termination and does it affect how their performance is evaluated, not to mention the increased work load on all the other employees who have to pick up the work of the employee who was let go,” explained Jean Gamble, a Human Capital Strategist and Recruitment Specialist. A recent survey by Robert Half showed that one-third (36%) of 1,400 executives surveyed felt the top factor leading to a failed hire, aside from performance issues, is a poor skills match. The second most common reason (30%) was unclear performance objectives. Gamble, who runs the Chicago-based Jean Gamble & Associates, believes “wrong hiring” occurs because hiring managers and human resources people confuse the job description with the job criteria. “The job definition and the criteria for the job are different,” says Gamble. “And often if you went to the people who actually perform the job, you’ll hear an entirely different description of what it takes to perform the necessary tasks than what’s posted in the job definition. That’s why it’s important to involve those who are actually doing the job in writing the description,” adds Gamble. “That way you avoid any miscommunication about what’s required to do a successful job. Another reason someone may not work out is due to what’s called the “cultural misfit.” This can occur when a candidate, who seemed perfect on nearly every level, clashes with the organization’s culture, which is why Gamble says “it’s critical that an open definition of the company’s culture exists in some form.” She adds that specific questions be part of the interview process to determine whether the candidate will fit within the firm’s culture. Sometimes candidates are eliminated for some of the wrong reasons. For example, a perfectly fine candidate may have been part of a corporation downsizing and had to take consulting assignments to survive for a couple of years. Some hiring managers might misinterpret this and think there must be something wrong with that candidate when there really isn’t. Working with a recruiter who specializes in a given field can help hiring managers identify job candidates with the appropriate skills. “Most recruiting firms conduct skills testing, which provides added assurance a prospective employee’s skills are a match,” Messmer says. The key to a successful hiring process, says Gamble, is to provide a clear definition of responsibilities for the job as well as the personality characteristics required for communication and success. It’s also important to determine, in advance, which employees will be involved in interviews, how information is collected and interpreted about the interviews, and ultimately who has the authority to make the hire. On the other hand, there are some detractors to this premise. A University of Michigan study on predictors of job performance found that the typical interview increased the likelihood of choosing the best candidate by less than 2%. 1. Know what you want. Don’t recycle past job descriptions because chances are the role has changed. Take a fresh look at your needs and the skills you’d like to add to your team. A detailed job description will help reduce the number of resumes you receive from unqualified applicants. 2. Look for the intangibles. A candidate’s skill set isn’t limited to functional abilities – it also includes how well he or she works in a collaborative environment. Employers that don’t take soft skills such as leadership and communication into account may set themselves up for a bad match. 3. Make a personal connection. Hiring is more than just identifying a strong resume or profile – it involves having conversations with applicants to establish a rapport. Interviews, for example, allow you to delve deeper into an applicant’s qualifications while also assessing whether he or she is a fit for your corporate culture. 4. Use all your resources. Though you may have the final say, hiring should never be a solo effort. Take advantage of the tools available to you at your organization – for example, human resources can help with the job description, and your employees may be able to offer referrals. 5. Woo your top choices. In any economy, people in high-demand may have multiple job offers. You need to show them why they should choose your organization over a competitor. Sell the benefits of working with your firm, and offer a compensation package in line with – or ideally, above – market rates. This entry was posted in Hiring Mistakes, Tips on March 31, 2015 by ZFR. The market for hiring engineers is more competitive than ever. For recruiters, one of the most frustrating things to see happen is having a great client, who’s hiring for a tough-to-find position, miss out on qualified candidates because of an inefficient hiring process. Many companies have lengthy technical interviews, as well as take home tests, but the most important thing to keep in mind with these job seekers is that they are not interviewing exclusively with you! They are usually working with multiple recruiters/hiring managers that are pushing them to take their jobs as well. With that said, often times the company that moves the most efficiently with their interview process is the one who gets the candidate. Many times job seekers, even those that are extremely talented and senior, will say, “I just want to accept the first job offer I get, I hate taking off work to go to interviews.” No matter how much we encourage candidates to weigh their options and see a few different companies, sometimes the first company that makes an offer does end up being the best fit. 1. Don’t be too critical of a candidate’s resume. Being too judgmental of the resume’s formatting, spelling, etc. may cost you a great candidate. A candidate that has the skill sets you are looking for is worth a phone call, even if it only lasts ten minutes. I have seen managers hire candidates that they originally passed on because their resumes didn’t reflect their passion, attitude, and intelligence. If the candidate is extremely job jumpy, it is always worth a phone call to understand why s/he has left those particular jobs. Sometimes their reasons are very justified. For example, start-ups frequently do lay-offs when they are growing, so this could be a cause. 2. Keep the interview process thorough, but efficient. Company #1 that does three phone interviews with three different people before physically bringing in a candidate is probably going to lose out to Company #2 that does one phone interview, and then brings them in right after to see the space. Company #2 will be able to make an informed decision faster, and effectively make an offer faster. This is a candidate’s market, and they have many options when it comes to new jobs. A company that has a two-month long hiring process will lose out on candidates to the companies that can simply act quicker. 3. Do not extend offers in the actual interview. Candidates are usually very emotional or nervous at the end of the interview process, and they could use a day to decompress. If you extend something official to them the same day as the interview, they will usually accept an offer in person because they are caught off guard and excited, and then decline later because the offer isn’t quite what they are looking for. 4. Keep the interviews organized and don’t miss phone calls. Candidates become very discouraged when they take time out of their day to take a phone call and never receive one. This can hurt their impression of your company in the long run as well. 5. Be open in terms of your budget. If you are working with a third-party recruiting solution, be honest, and let them know what number to stay under when they submit candidates. Interviewing candidates that are way over the budget can end up being a waste of time for everyone, and frustrating for the manager. If you are realistic about what you can offer a candidate, then you will be more efficient with your interview process and save time! This entry was posted in Interviewing, Specific Positions on March 27, 2015 by ZFR. Recruiting is a fine art. You’re part PR, part private investigator, and part psychic. There is a formula involved, but then there are times when you just have to go with your gut. Everyone collects unlikely success stories — big gambles gone so right, and unfortunate mistake stories — little oversights that taught a big lesson. There are some mistakes, though, that you don’t have to make yourself. From sourcing and screening, to interviewing and hiring, nine seasoned recruitment professionals talked with us about some of the industry’s biggest blunders and how to avoid them. 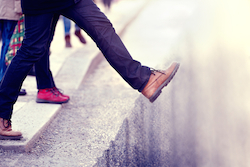 Some of the most costly recruiting mistakes happen at the very beginning of the process — not because they’re the biggest blunders, but because they either limit your efforts too much or they let in too many of the wrong candidates. Tripping at the starting line throws off your whole pace. With over a decade of recruiting experience, Tony Palm — currently the Founder of Post-Military Employment — knows how important it is to keep his options open. Of course, an ATS is a great resource, but if you are actively searching for the perfect candidate to fill an immediate opening, make sure you’re considering a variety of sources. Ideally, of course, you have a robust employee referral program and system in place, and you are constantly collecting and managing top candidates in your industry. As you collect names for consideration, though, don’t swing the door so wide open that you then have to filter through hundreds of completely unqualified candidates. The team at PI Worldwide understands the value of the first step. PI Worldwide uses science-driven insights to recruit and develop teams, so they are focused on measurable results. Sourcing talent is often overlooked as recruiters develop hiring strategies for their organizations, but it might be one of the most valuable steps when maximizing efficiency down the road. If you are continuously building and maintaining your applicant pool, then screening candidates is you first real step when a position becomes available. This can be especially challenging if there are a lot of new names responding to a job listing, but avoiding a few common mistakes can dramatically improve the process. If there are a lot of resumes to look at, it’s tempting to toss each one aside at the first bad line. Take time to understand each applicant before you decide he or she isn’t the right person for the job. Recruiters like to say that some people only look good on paper, which is why interviews are important, but the opposite is also true — sometimes good candidates don’t look great on paper. If you really want the best person for the job, take the time to make sure your application process includes more than the standard questions and resumes. 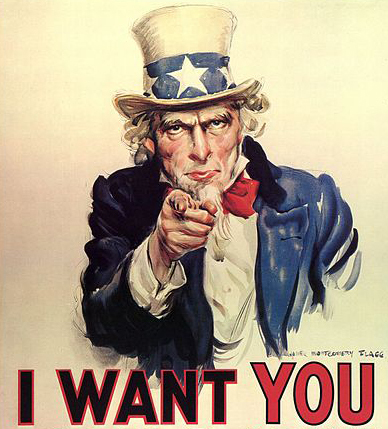 Recruiters are people too, and we can be influenced against our better judgment sometimes. Marcus Moore has been the President, CEO, and Founder of Genesis Professional Staffing, since 2003. He has learned how to guard himself against a pretty resume. 3. Don’t Rely on Email. Rebecca White is an Area Director for Kavaliro — a Florida staffing agency. She understands the temptation to stick with the convenience of email, but knows a more effective way. If you have a good pool of candidates to draw from, screening them for a particular position shouldn’t be a nightmare. Whatever your talent pool looks like, though, if you screen them well the interview stage can be a breeze. The interview process can be stressful for everyone involved. As no one performs at his or her best under stress, eliminating some of the key anxieties and heading off some common pitfalls from the start, will enable a recruiter to get everything he needs from an interview. If anyone knows interviewing, it’s Jonathan Burston, founder of the Interview Expert Academy, with over 20 years of experience. His key piece of advice for interviews: be objective. There are other tools and tips that will up your interview game, so you can make the best decision for your organization or client. 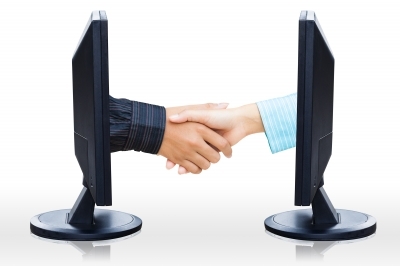 Video interviewing may be one of the best things to happen to the hiring process in a long time. It’s a versatile tool that saves time and money for everyone involved. David Waring is Co-Founder and Editor at FitSmallBusiness.com — a website dedicated to serving small business owners. He uses video interviewing as an added step before live interviews. Many recruitment professionals still favor a live interview eventually, but many also recognize that an experienced hiring professional can get almost as much from a video interview as well. Shadi Ghani has been working in the recruitment industry for over a decade, and recently co-founded Culture & Company Inc. to specialize in marketing and digital marketing recruitment. “Always meet your candidates in person. (At the very least do a Skype meeting.) Some people look great on paper and that’s all.” – Shadi Ghani, Culture & Company Inc. There are advantages to video interviews that you can’t get from a live meeting, including the ability to review a recorded session and/or share it with other hiring personnel who were not in the original meeting. You can avoid a lot of bumps in the road by taking advantage of this great tool. Interviewers mistakenly fall into a rut when they approach a meeting as the presenter. Behind the scenes you are trying to find the right candidate for the job, but in a face-to-face, consider that you are trying to find the right job for the candidate. “Understand the key driver for why the candidate is looking to leave his/her current company. 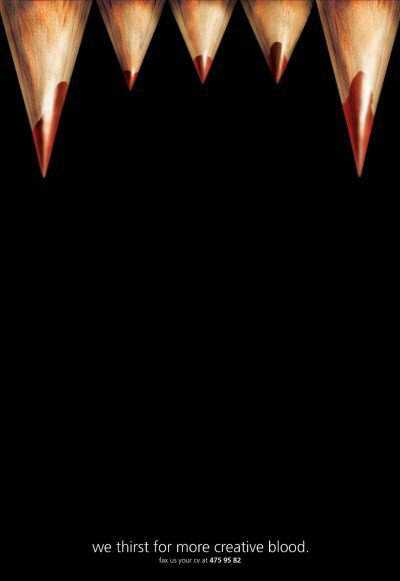 Is it the boss? He/she wants more money?” - Shadi Ghani, Culture & Company Inc.
Understanding why the candidate is making a change will help you determine if he/she is a good fit for your brand culture and for the job position in question. From sourcing (which, hopefully, you’re always doing anyway) to screening, little oversights can trickle down to create big headaches. Everybody knows that interviewing well is a big deal, but it’s amazing how the right technology and the right focus can smooth the process. Throughout the process, knowing what not to do can be just as helpful as know what to do. This entry was posted in Hiring Mistakes, What NOT To Do on March 25, 2015 by ZFR. Candidates need motivation to work with your organization. That motivation comes from the recruitment message. Your recruitment message attracts the right candidate pool the first time. Social media posts, employer branding and job advertisements all play a vital role in the brand messages candidates receive. Without a strategic plan, your recruitment messaging has no chance of hitting the center of the candidate target every time. Is the voice of your recruitment messaging developed with your ideal candidate in mind? Does it address their internal motivations (as varied as those might be)? 1. Does Your Brand Stand Out? 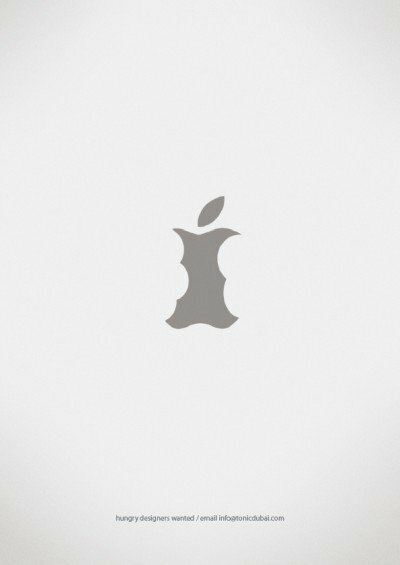 Notable consumer brands, like Apple, have the flexibility to use their logos in creative ways. The only words on the job advertisement are, “hungry designers wanted.” Immediately the color palate, recognizable logo and choice words give way to the meaning. Apple is hiring. It is a not-so-veiled demand for the best: the best products, the best work, the best employees and the best teams. That message is consistent through their entire brand, not just their recruitment messaging. Note how the advertisement doesn’t mention specific programs, years of experience or any other super specific parameter. Passion first, brand second. That’s it. Your organization won’t always have the same job openings. Your team must adapt and change the recruitment messaging in accordance with the company’s needs and business objectives. With a clear and concise employer brand, it can be easily targeted to the desired talent pool. Johnson & Johnson honed their recruitment strategy, adjusted their career page and adopted a clearer employment brand. The changes resulted in a 54% improvement in the quality of their talent pool. That advanced talent pool led to a 23% decrease in new hire turnover. They were able to take their recruitment message and shift it to a highly specific audience with their ideal candidate in mind. Again, their brand and development of parameters FIRST led to these startling numbers. Remind executives of this when they are hesitant to invest in employer branding. 3. Is Your Messaging Consistent? Your recruitment message has to be succinct. It has to be consistent through all forms of candidate communication, so everything from the job announcement to the interview conveys the same recruitment message and can work on multiple channels. Keep your ideal candidate in mind when you’re creating a recruitment strategy in order to attract the best talent pool. Personalizing your recruitment message to a specific subset of the talent pool (yes, this means all the way down to the one-to-one level) creates a more effective candidate attraction method than spamming and vanilla messaging that makes your company look like every other opportunity on the block. This entry was posted in Recruitment Strategy, Tips on March 19, 2015 by ZFR. Will Face-to-Face Interviewing Die Out? Face-to-face interviewing is under attack from video interviewing — just look at the statistics. Aberdeen Group has shown that while only 10% of companies used video interviewing in 2011, 42% were using it by 2012. As of January 2014, CNBC reports that roughly 63% of companies use video interviewing. Given the trends, it’s likely the number is even higher today. As video interviewing rises to prominence, we have to ask: will the face-to-face interview die out completely, replaced by cheaper, more flexible video options? If traditional interviewing does die out, it will be a gradual process. Video interviewing has become culturally accepted in the early stages of the interview process, and could quite plausibly become the norm. However, the majority of second interviews and negotiations are still conducted as face-to-face meetings. Employers feel they need face-to-face contact to make the appropriate emotional and psychological connections to fully assess the candidate. 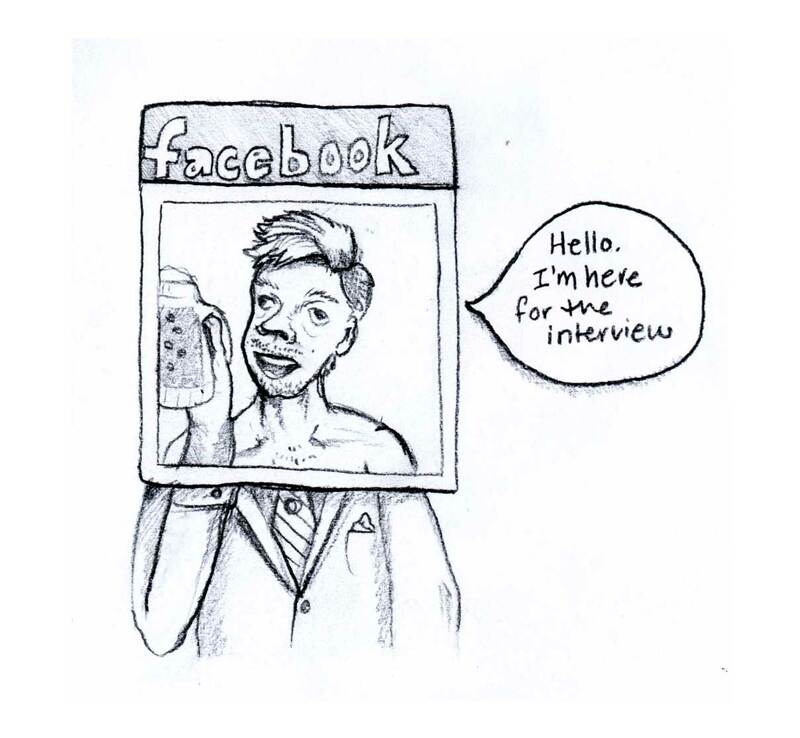 In time, however, video interviews may become the norm for later stages of the interview process, too. Technological advances like broadband, 3G, 4G, HD technology, LED, and OLED have helped gradually reduce technophobia in the world, setting the stage for a widespread adoption of video interviews at all stages in the interview process. Could the technology that would make video interviews acceptable in the second round one day arrive – for example, 3D holographic technology that would allow interviewers to interact with 3D holographic projections of candidates? But, that’s the stuff of science fiction isn’t it? Not exactly: 3D holographic projections are here — though not yet available in the shops — and you can expect the technology to filter into corporate video-conferencing strategies over the next decade. Professor Roel Vertegaal of Queen’s University and his team have cooked up a 3D cylindrical model of a human being using little more than Microsoft Kinect sensors, a 3D projector, a 1.8 meter-tall translucent acrylic cylinder, and a convex mirror. Now, imagine if recruiters could access such 3D holographic projections of their remote interviewees. Recruiters could see the candidates’ full body movements and assess their body language – something that is compromised in 2D video interviews. It’s probably only a matter of time — 5-10 years – before 3D holographic projection technology makes it into the corporate sphere. When that happens, we might see 70, 80 or even 90% of first-round interviews conducted by 3D projection, as well as much higher percentages of second-round interviews conducted via holographic technology, especially in situations where employees will work remotely from other countries. All this being said, there is probably little chance of face-to-face interviewing dying out completely. Still, 3D video interviewing may become an increasingly common practice, taking over much of the space normally reserved for face-to-face interviewing. This entry was posted in Interviewing, Recruiting Trends on March 17, 2015 by ZFR. 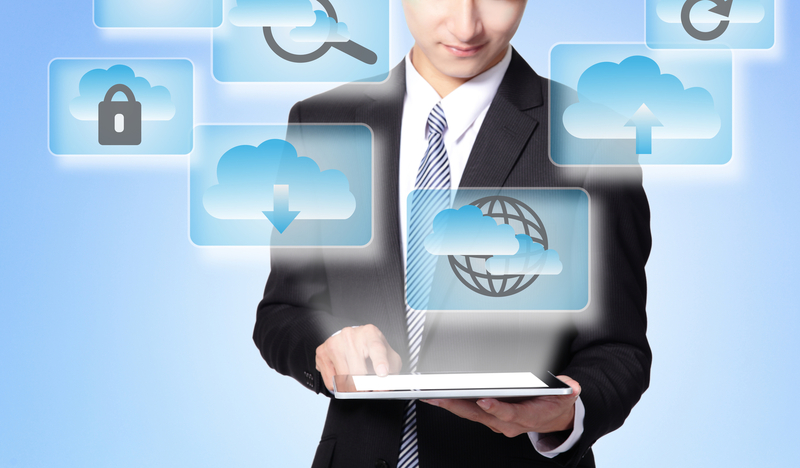 Hiring individuals to take control of your software asset management can be a complex process. It often involves a lengthy effort to find exactly the right person with the ideal set of skills and experience. There is the difficulty of recruiting from an extremely small group of people with the correct skills set, as well as the need for people to have experience of working with specific vendors. For businesses that are looking to recruit in the software asset management sector, it’s important to spend time searching for the right people. Once they are in place, you need to invest in adequate equipment, IT asset management and training to ensure that they can carry out their roles effectively. The issue with recruiting SAM professionals is that this area covers a broad range of skills, and not all of these are IT based. When you’re starting the recruitment process, you need to decide on what your future objectives are before you begin searching for candidates. This will likely influence the type of person you are looking for and provide a focus for the skills that are most important to your business. In order to be an effective SAM professional, an individual will need to have the basic principles in place. These can then be adapted to suit the particular business, but without them they will not be able to put the right tools and controls in place to manage your software assets. They must have a key understanding of the latest technology such as inventory management software, software license management and relevant SAM tools. This will enable them to focus on the tools that are required by the business. Understanding technology will mean that they can improve the sourcing of new equipment and help them keep track of the costs. SAM professionals also require a knowledge of the company they are working within. They need to know what is required for the business to operate successfully, what areas they can work without and where costs can be reduced. Financial management is a vital component of any role within a business, but it becomes even more crucial when purchasing technology. An effective Software Asset Manager needs to know what items offer the best value for money and take a strategic approach to purchasing. This also leads into the requirement to be able to negotiate and communicate successfully. 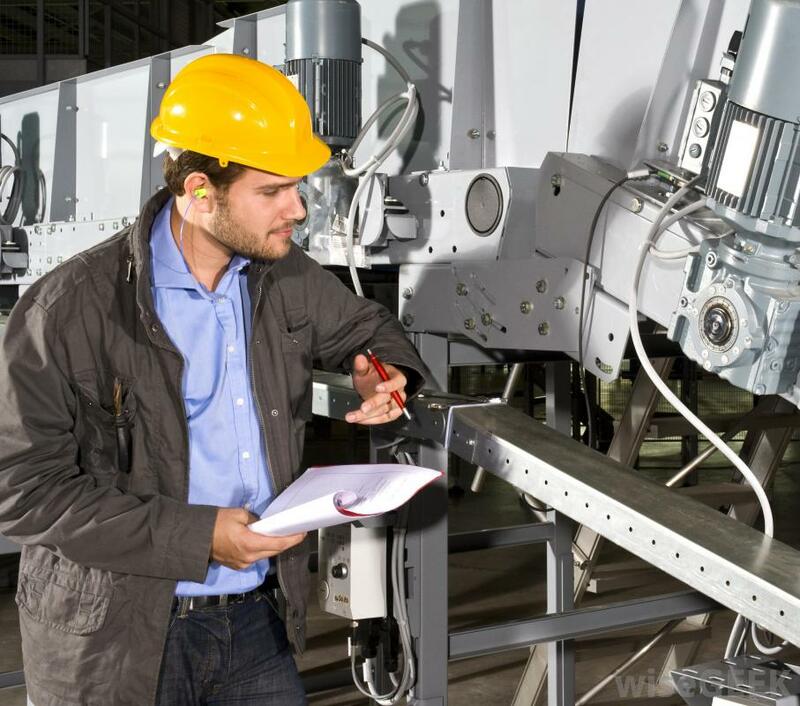 They must be able to work closely with suppliers and understand the bidding process so that they can purchase the right equipment at the best price. Within SAM it’s necessary to work across the organization, including communicating with key members of the management team so that they understand the process of acquiring new assets. A large part of SAM is having an in-depth knowledge of the legal process and what the implications for the business would be if they didn’t comply with regulations. This also needs to be imparted to the management team so that they’re aware of how important SAM is. Finally, a good SAM professional will have an analytical brain to enable them to solve issues and propose the most logical answer. Recruiting new software asset management employees is not a quick process, and it’s vital that you make the correct decision. Finding the right person is easier if you can recruit a team to run your SAM. However, the process becomes considerably harder if you require just one person. Understanding your requirements will enable you to focus on the areas that are important to the business. This entry was posted in Candidate Selection, Specific Positions on March 12, 2015 by ZFR. Knowing what to look for in a candidate can often be difficult, especially when your business is new and growing rapidly. With the need to hire great, it’s often easy for your team to overlook flaws and issues in a candidate simply to fill a position. While hiring to keep up with growth is important, it’s also important to take your time and make sure you’re hiring the right person for the job. Being able to see the right signals that a candidate is worth hiring can help you make the right decision. Everyone needs to be competent in order to fulfill their role within an organization to a high level. Testing your candidates for competence (as well as making sure they have the right qualifications) helps ensure your job is filled by the right person. From aptitude tests to quick tasks, prepare a series of tests to view the competence of candidates for your job position. 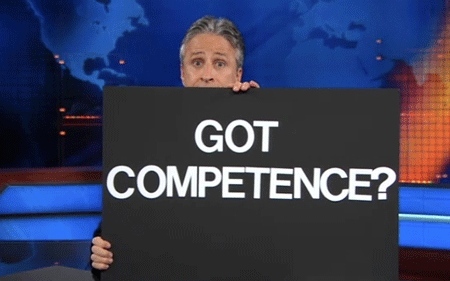 Most people will pass – the key here isn’t simply to look for competence, but for exceptional competence. People that excel in tests will often excel equally in their position. Use competence testing to look for outstanding people that will add value to your company, not just people that possess the bare minimum of required skills. Many job candidates make the mistake of thinking that the application process is all about them. Their resume is focused on their achievements and their cover letter is all about what they have achieved or hope to achieve. This is often a point of difference between job candidates and hiring managers – the candidate wants to present themselves in the best light possible, while the manager in charge of hiring wants to know how they can produce results for the company. If, in a list of resumes and cover letters focused on individuals, you discover that a candidate has, rather than focusing on themselves, focused on how they can help your business achieve its goals, you may have found an excellent choice. You can be the most talented, hardworking and qualified person in the world, but unless you can communicate this to your employer, the likelihood of you reaching the heights of career success are slim. Being able to communicate effectively is an important skill, and it’s something that hiring managers should always be looking for. 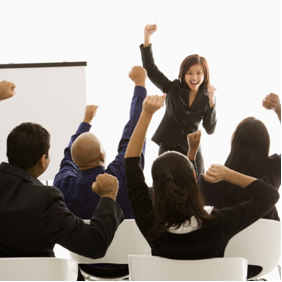 People with strong communications skills are valuable additions to a team, as their opinions are clearly voiced. Communications skills are particularly important in the sales and customer service roles of your business, where being able to effectively communicate benefits, major selling points and other information is crucial for the success of your business. In the 21st century, the concept of professional loyalty has taken something of a hit in many industries. Whereas people once used to spend decades in a career, a great deal of today’s professionals stay with a company for just a year or two at a time. Leapfrogging from one employer to another may be a reality of today’s professional world, but it’s not something that you should look for as a hiring manager. After all, if a candidate left their last job quickly, they could soon leave your company. Look for professional loyalty and reliability when interviewing job candidates and prioritize people who aren’t just qualified for the role, but those that show a history of sticking with their employers for the long term. This entry was posted in Candidate Selection, Interviewing on March 10, 2015 by ZFR. Should You Worry If A Candidate Isn’t Active On Social Media? You’ve picked your top 5 candidates for your open position. But what’s next? Do you find them on Facebook, Twitter and Instagram? Be honest, we’ve all done this at some point. You may find social media profiles complete with potentially risky photographs from your candidates’ summer or old profiles that would make them cringe. But what if you can’t find your candidate on social media at all? It’s been drummed into us since we started job-hunting that employers search for us online. Maybe your candidate once had a few dodgy profiles, has panicked and simply deleted everything? The Internet never forgets and there will be evidence lurking somewhere. Dig a little deeper. Try and uncover the reasons why they erased everything. It could be that they’ve been fired from a job in the past due to their antics on social media. It’s not to say that your candidate isn’t going to be a great match, particularly if it looks like they’ve turned over a fresh leaf, but it’s still better to be working from a position of knowledge. These days finding a candidate that has never had a social media profile is rare, and it could indicate someone who is unfamiliar or unwilling to get to grips with new technology. This could definitely be a cause for concern – much more so than a few drunken pictures. Profiles do not need to be super-personal, finding a profile filled only with retweets of articles or posts relevant to their interests is great and shows their ability to self-monitor their online presence. At the very least you’re looking for a basic LinkedIn profile or a highly restrained Facebook or Twitter, any evidence that your candidate is able to get to grips with technology; whether in a business setting or not. This may sound like a weird one, but hear me out – not being active on social media could suggest that your candidate isn’t curious. Social media sites like Twitter are a big part of how news spreads these days. And this doesn’t only go for current affairs; business takeovers and up-and-coming innovations can be big news on social media too. A simple ‘like’ or ‘retweet’ can signify a candidate’s interest in keeping up to date with new advances in their field, and if they add their own comments and ideas that’s even better. Sharing content and keeping informed is particularly important for those going for more high-level leadership positions. Once you’ve secured a role for your candidate they may be in a position where other people in their industry begin searching for them online, and if they’re already doing the leg-work before you get involved, that can only help. Of course, these reasons may not explain why you can’t find your candidate on social media – some people simply don’t want to be visible on Facebook and the like. Don’t let it stop you from giving them a call but perhaps try and dig a little deeper when you bring them in for interview. This entry was posted in Candidate Selection, Recruitment Strategy on March 5, 2015 by ZFR. It has happened many times before: even the very best in-your-face, vibrant workforce culture can’t survive a profits meltdown, and it can be incredibly difficult to get that culture back. What drew employees to the thriving company – bragging rights, benefits, big salaries and big personalities – will push them away when the shine is off the company, salaries and benefits are frozen, and career advancement is slowed. And forget about trying to fill those empty seats when business picks up – news of a shaky workplace and broken culture travels fast. It takes a long time to build a robust workplace culture and almost no time to damage it beyond repair. Thus it’s critically important to have senior managers brainstorm scenarios that pose a culture and business threat, and make plans to preserve both – especially when dealing with talent. 1. Think about geography. Many employees today are geographically distant, which only works if the culture and work systems support remote operations. Do you want a culture that’s steeped in the norms of one physical location – say Cambridge or Palo Alto? Then you have to socialize remote employees early and often, support frequent travel, and make them feel like members of the club. This may not work; Apple, for instance, is a Silicon Valley culture, and has its admirers and detractors; GitHub, on the other hand, was built to be a geographically distributed workplace. 2. Think about office environments. Open workplaces are all the rage now, and suit Millennials’ needs to collaborate. But many employees have a hard time sitting at a long table that’s reminiscent of being in elementary school. If you’re going for a ‘we’re in this together’ culture, open workspaces are an interesting choice. If you’re building a culture of power and influence, think about keeping more private offices. 3. Think about your customers. If you’re building a service business – and most of us are in service businesses these days – diversify your customer base. Don’t concentrate more than 25% of revenues in more than one vertical. Look for verticals that are complementary to your best clients. If you have a lot of advertising technology clients, think about analytics companies. If you have a lot of software companies, look to the verticals they serve for new prospects. 4. Think about your compensation. The more remote your workforce is, the more you may need support systems like employee wellness and employee assistance programs. These seem like big-company trappings but they are useful: wellness programs encourage employees to take care of themselves; employee assistance programs offer a safety net when wellness isn’t enough. 5. Think about your management mix. Do you want a tight group? Nurture and promote from within. Reward employees for referring friends and peers. Do you want fresh thinking? Bring in enough outsiders to challenge established thinking but not so many they overpower the culture. Help your HR and Recruiting teams source candidates who come from similar cultures but have slightly different backgrounds. When financial disaster strikes, workplace culture may be downgraded to a second or third-level concern. It’s natural to want to focus on building revenues back, but consider the contribution a vibrant culture makes to a workplace. You may not be able to put a dollar value on it, but you’ll know – and the bottom line will show – when it’s broken. It’s time to recruit again – a new cycle begins. This entry was posted in Recruitment Strategy, Tips on March 3, 2015 by ZFR.